I've started doing HIIT with weights and with that have done lots of reading and research. One thing I've read of course is with HIIT you need to increase intensity. 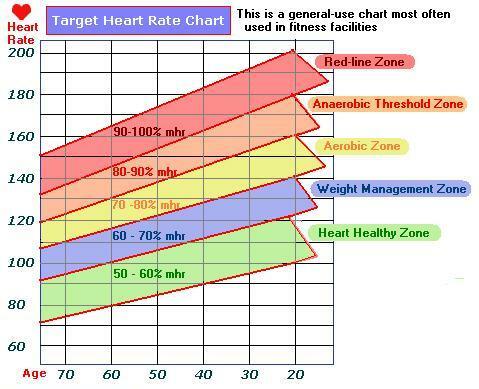 When lifting weights should I be heading into the Anaerobic Zone which is 80%-90% your max heart rate and should I attempt to keep my heart rate within that zone for the duration of the work-out. I'm aware that 15-20 minutes is the maximum amount of time I can stay in the zone. And if I do take a rest, do I wait for my heart to reach a lower zone before going back in? I haven't really much much information on this and need some kind of guide for intensity to measure against. HIIT stands for High Intensity Interval Training. The "interval" portion suggests short duration intervals followed by rest intervals. The "High Intensity" portion does suggest that you give a maximal effort during that short interval. However, for this technique to be effective you must include the short rest intervals to allow for recovery so that you can put forth a maximal effort during the next high intensity interval. Generally your heart rate would increase to 80% to 85% or more during the intense phase and drop down to 60% to 70% during the recovery phase although this can vary. A HIIT example is the Tabata Protocol where your exercise maximally for 20 seconds followed by a 10 second rest. You repeat this cycle 7-8 times. There are other protocols such as 60 seconds of intensity with 30 seconds of rest or 30 seconds on, 30 seconds off. You can workout which fits into your routine or which you feel gives you the best workout. Craig Ballantyne gives some interval training options. Be sure to include a good warm up and cool down when doing HIIT. Hope that helps. The two previous answers detail two DIFFERENT workout protocols. Answer # 1 details HIIT, which is High Intensity Interval Training and as answer # 1 suggests the "interval" is necessary for this to be considered HIIT. To achieve HIIT, train 90 - 100% of your maximum capacity (not your MHR which is really only a guideline and does NOT necessarily measure your maximum capacity) for an "interval" (usually 30 to 60 sec) and then rest for an "interval". Your work to rest ratio really depends on how long you can sustain maximal effort and how quickly you can recover to be able to perform the next work interval at maximum capacity. Common work/rest intervals are 30s/30s, 30s/60s, 60s/60s, 60s/90s. It is very important to note that the work interval REALLY needs to be maximal or close to maximal effort in order to perform HIIT correctly. Using sprinting and the 30s/60s interval as an example, you would sprint for 30s as if you were running a race i.e. "as fast as you can". Then you would rest for 60s and that is 1 complete interval. The reason I disassociate MHR and maximum effort is that MHR is really only a guideline. As an example I am a 42 yr old male so accordingly my MHR would be 178 (220 - age). However I normally hit 200 BPM during each work interval of HIIT and recover to about 160 BPM using roughly a 60s/60s interval. As you can see, 60s at 178 BPM is NOT my maximal effort and would therefore not be High-Intensity but would be a medium intenisty interval program or simply known as interval training (before HIIT was invented). For answer # 2 the writer is really referring to High Intensity Training. If you do not use the "interval" then you are simply doing Hit Intensity Training (HIT) and you are NOT doing (HIIT). HIIT, HIT and plain old interval training all have benefits but if you want the fat burning benefits of EPOC and the benefits of raising your VO2-Max, then HIIT is the one for you. Remember that HIIT is really about working in the anaerobic threshold, recovering, and working into that threshold again. If you make the work interval too long then you are really working the upper limits of your aerobic threshold which will not produce the benefits of HIIT (or at least I know of no studies which show this). Most experts agree that any activity lasting longer than about two minutes has a large aerobic metabolic component. You do NOT want an aerobic component in your HIIT workout, you want only an anaerobic component so you must go at maximal effort. Otherwise the workout is not HIIT. Recap: If you want to do HIIT keep your work under 2 minutes per interval, Work at maximal capacity, recover sufficiently to perform the work at maximal capacity and repeat. Use the common intervals listed above. Maybe there are other ways to do it, but when I do high intensity workouts, I work as hard as I can. I don't think there is any point to worrying about heart rate or being in some particular "zone." As for rest, only if you are so tired that you can't complete the next rep, take a very short rest (e.g., 2-3 breaths) and get back after it. If you rest longer, you lose the intensity and are doing a different kind of workout -- try lower weights or easier exercises if you can't complete the workout without resting. Not the answer you're looking for? Browse other questions tagged high-intensity anaerobic hiit or ask your own question. What is the minimum effective dose of running that constitutes HIIT? Do I lose muscle mass if I do anaerobic exercises throughout my diet? Does weighlifting have the same benefits as HIIT?